Last week, the first week in the life of Russia’s EN+ Group on the London Stock Exchange, Oleg Deripaska (lead images), control shareholder and chief executive, took $500 million in cash for himself, then triggered a $112 million loss for the other shareholders led by the Russian state bank, VTB. London sources say the market took this warning so seriously, there is almost no investor demand for the shares. Sold to a group of insiders at $14 before trading commenced last week, the issue of 112.1 million shares fell towards $12.80 before price support was observed. At a current price of $13 per GDR (equals one ordinary share) $112.1 million in market capitalization has already been lost. EN+ Group (ticker ENPL:LI) is the Moscow-based, Jersey-domiciled holding which owns Russia’s aluminium monopoly Rusal and a group of electricity-generating companies. The latter sell most of their electricity to Rusal, subsidizing Rusal’s profit by discounting the electricity price. For background on their combination, read this. Deripaska and his family owned 95.65% of EN+ before last week’s listing; the balance of 4.35% was owned by VTB, one of Deripaska’s principal creditors. For the story of VTB’s 2011 purchase of EN+ and the taking of an EN+ board seat, read this. Despite the Kremlin order to return the ownership of strategic Russian assets from offshore to domestic jurisdiction, the EN+ prospectus for its initial public offering (IPO) reveals that Deripaska continues to own EN+ through two entities, B-Finance Limited (registered in the British Virgin Islands) with 61.55%; and Basic Element Limited (Jersey), with 21.1%. These two offshore entities are owned in turn by Fidelitas International Investments Corporation, which Deripaska set up in Panama. Source: EN+ prospectus, page 210. 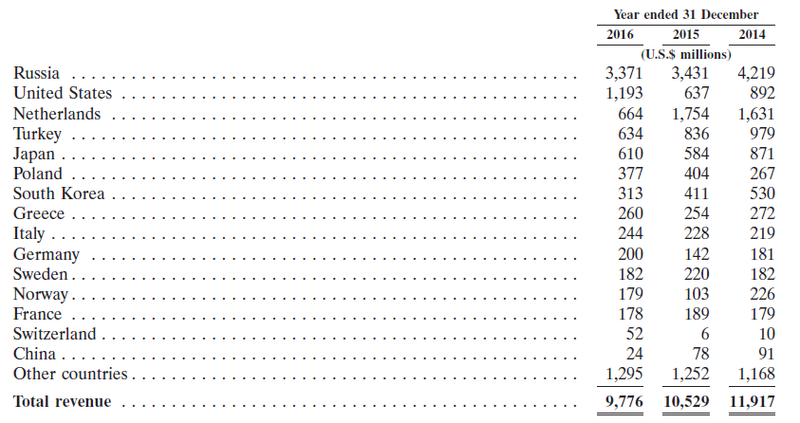 After the IPO, Deripaska and his kin will own about 76%, with a buyback right as described in footnote 4 of the table. In twelve months’ time, there is an agreement with VTB that Deripaska will have the option to buy back all of the shares he has sold through the bank. VTB’s original stake of almost 22 million shares (4.35%) has turned into 3.81% of the new shareholder line-up. Another 6.2% has been acquired by the so-called Chinese cornerstone investor, AnAn and the CEFC group; for details, click. The Singapore-listed AnAn is close to insolvency, and subject to Singapore stock exchange regulation. According to the prospectus, a new entity, called AnAn CEFC (Cyprus) International Investment Ltd., has been created especially “for the purpose of participation in the Offering and holding the GDRs.” This appears to mean that VTB, which is lending the purchase money, can control the shares under Cyprus law, not Singapore’s. The prospectus, which was drafted by lawyers from the US firm White & Case and the UK firm Linklaters, says: “VTB may enter into an agreement with the Cornerstone Investor [AnAn] in relation to providing financing to the Cornerstone Investor in respect of the Cornerstone Investor GDRs to be acquired pursuant to the Cornerstone Investment Agreement.” “May enter” means “has entered”. It also means that VTB loaned $500 million for the Chinese part of the IPO transaction, whose proceeds will be divided between Deripaska’s pocket and the payoff of VTB’s loan to EN+ of $942 million. Deripaska had his lawyers issue this claim in the prospectus: “The Cornerstone Investor is an independent third party and is not an existing shareholder of the Company.” This is not a ruse that has persuaded anyone in the market. In practice, as state news agency Tass has reported, AnAn’s stake belongs to VTB, and is covered by a buy-back agreement from Deripaska himself. Tass’s Moscow sources said that VTB now has control of 10.02% of EN+. Securing its loans to EN+ before the IPO and the payoff of its $942 million loan, VTB held Deripaska’s pledges over 32.55% of EN+’s shares. 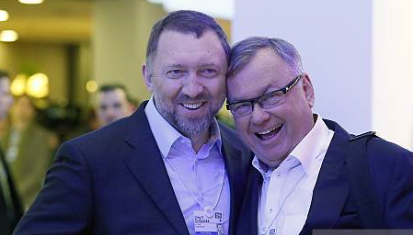 Oleg Deripaska (left) and VTB chairman Andrew Kostin (right) in Davos in February 2015. According to the prospectus, that leaves a shareholding balance after the IPO of 13.4%. This has been reported by EN+ as a free float of independent investors. In fact, they are almost all state funded, government controlled, or related parties. The EN+ prospectus, dated November 3, can be read in full here. The London Stock Exchange (LSE) rules for GDRs do not apply the same corporate governance standards, financial reporting to the market, and prohibition of insider trading which regulate ordinary share listings. For more details, read this. In fact, EN+ admits, there is a risk that the newly issued GDRs will be shunned in the market. “There is no guarantee that an active trading market for the GDRs will develop and continue after the London Admission. If an active trading market for the GDRs does not develop, it could have a material adverse effect on the liquidity and the market price of the GDRs and investors may not be able to sell the GDRs they purchased in the Offering at or above the Offer Price or at all. As a result, investors who purchase the GDRs in the Offering could lose all or part of their investment in the GDRs. 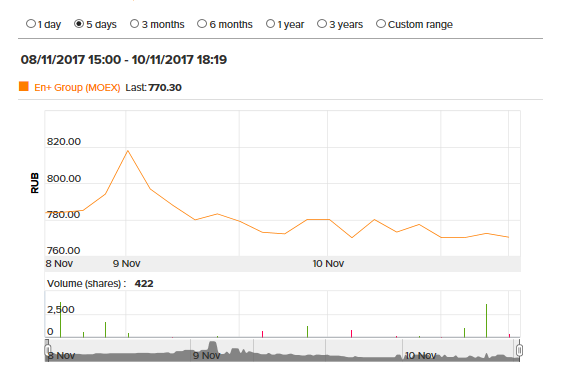 The Offer Price of the GDRs has been determined after consultation with the Selling Shareholder and the Company, and may not be indicative of the market price of the GDRs after the Offering.” In other words, if you don’t have a price support and repurchase deal with Deripaska, don’t buy the GDRs. 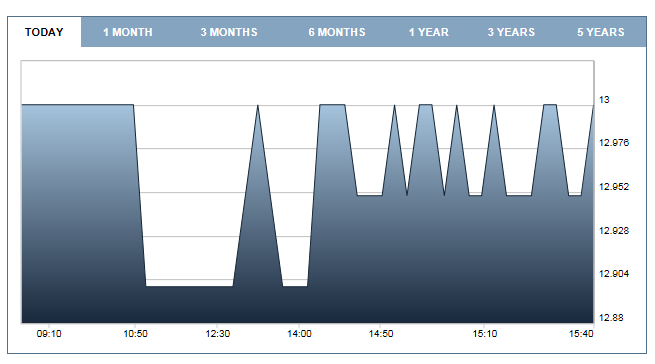 With such admissions that there is no genuine market, there was nowhere for the share price of EN+ to go but down. This is what happened. Three state banks – Sberbank, Gazprombank and VTB – are also listed in the prospectus as taking 22 million of the new shares. That represents 31% of the free float as advertised. What they have done with the shares has not been reported to the market nor disclosed by EN+. But Russian market reports indicate that the Qatar Investment Authority (QIA), a state entity, and the Russian Direct Investment Fund (RDIF), also a state entity, have agreed to buy the bulk, most likely on buyback terms with Deripaska, or loan and repurchase (repo) terms with the state banks. 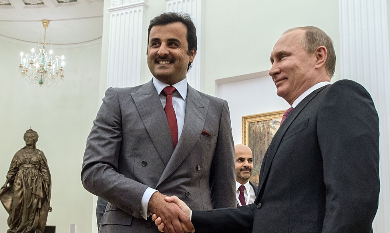 The Emir of Qatar, Tamim Al Thani, meets President Vladimir Putin in the Kremlin in January 2016. For details of the investment relationship between the sovereign funds of the Qatari and Russian governments, read this. Glencore, Rusal’s principal metal trader and holder of 8.75% of Rusal shares, has agreed to convert its Rusal scrip into EN+ paper, with a seat on the board. The prospectus reports (page 211) the conversion transaction but not the shareholding in EN+ which has resulted from the formula agreed between the companies to compensate Glencore for the recent loss of Rusal share value. 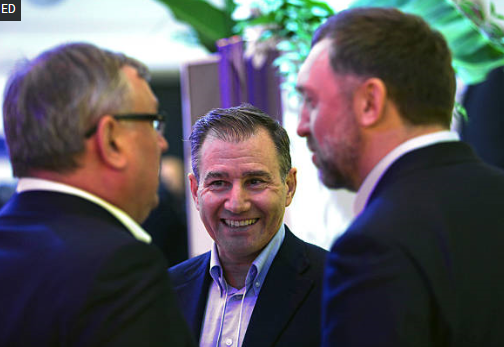 Ivan Glasenberg, chief executive of Glencore (centre) at Davos in 2015 with Kostin (left) and Deripaska (right). Although Andrei Kostin and Ivan Glasenberg will now have their seats on the EN+ board, Deripaska will keep control of the cashflow of the company. It’s his intention, the prospectus says, to pay dividends, whether the group, or its aluminium and electricity units, run at a profit or at a loss. “The Company paid dividends in the amount of U.S.$318 million in 2016, U.S.$262 million in 2015 and U.S.$203 million in 2014,” the prospectus reports. But in 2014 EN+ suffered a loss of $624 million. To cover the payout to Deripaska that year, EN+ had to borrow. For an unusual Russian analysis of Deripaska’s dividend plan, read this. 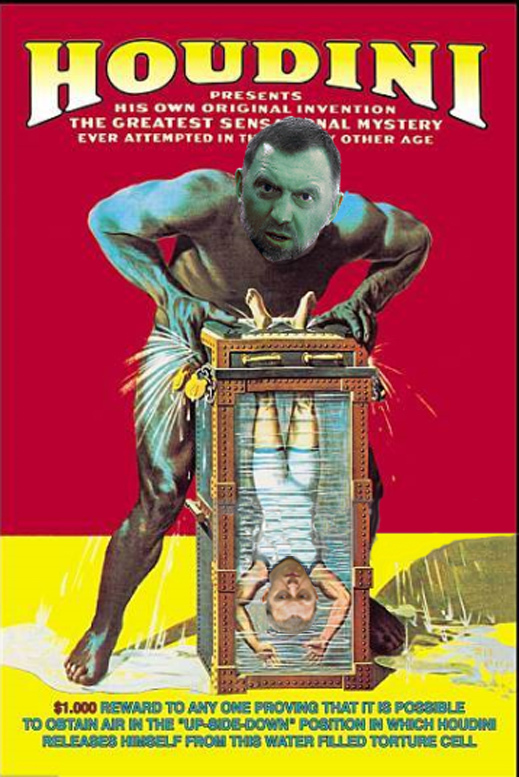 Deripaska doesn’t favour analysis of his business conduct in the marketplace. On one occasion when that threatened his listing of Rusal on the Hong Kong Stock Exchange in December 2009, this was the result, according to Moscow court records; and also according to western intelligence telephone interceptions. The threat that the US government may add Deripaska, Rusal and EN+ to the current economic warfare sanctions against Russian targets has been reported here. The EN+ prospectus acknowledges the risk. 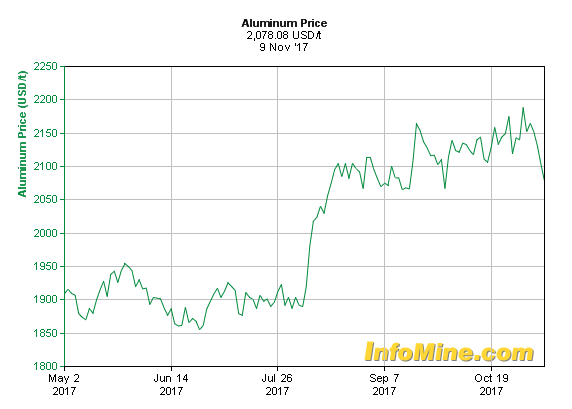 It also reveals that Rusal’s sales revenues, and Deripaska’s profit, are increasingly dependent on shipments of aluminium to US warehouses and buyers. Last year the US became the leading destination for Rusal exports. Source: EN+ prospectus, page 111. As the table shows, the US is now the largest single national customer of EN+. In 2014, by contrast, the Netherlands was the largest customer, primarily because of warehousing of aluminium in Dutch ports; the Dutch share of Rusal’s global sales was 39%. That year US deliveries comprised $892 million, or 21% of the total. But now the US has jumped to $1.2 billion (35%), while the Netherlands has fallen to $664 million (20%). China is virtually insignificant as a destination; Japan, where Toyota is the major customer, has fallen from $871 million to $610 million. Since the start of US economic warfare against Russia in 2014, no major Russian corporate group or individual oligarch has increased his business with the US, except for Deripaska. For his effort to defend his reputation in US federal court, read this. Revealed in the small print is that Glencore currently accounts for one tonne in every three (34%) of Rusal’s metal sales; and that the next four customers control another 13% – Toyota, Mechem SA (a secretive metals trader based in Lausanne), and two Russian aluminium processors — Samara Metallurgical Works (SMZ) and Kamensky-Uralsky Metallurgical Works (KUMZ). SMZ was sold by Rusal to Alcoa in 2004, and then in 2015 Alcoa sold to Stupino, which is part of the state metals holding, Russian Technologies. KUMZ used to be part of Victor Vekselberg’s SUAL group until it was merged into Rusal on Kremlin order in 2006. In other words, EN+ considers itself free to operate in violation of the applicable environmental laws and regulations, almost scot-free. For details of the Siberian environmental protection campaign against EN+, click to open. Bankruptcy footnote. According to EN+’s prospectus at page 207, “none of the Directors or senior management… have [sic] been a director or senior manager of any company at the time of any bankruptcy, receivership or liquidation of such company.” This appears not to be true of the longest-serving “independent” director of EN+ by the name of Philippe Mailfait (right). Mailfait, a 66-year old Frenchman, has been on the EN+ board since 2009; that’s longer than anyone else. He currently serves as chairman of the board’s audit and corporate governance committees. 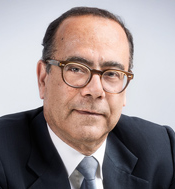 A resume in the EN+ prospectus claims Mailfait was educated in Paris and Montreal, and for employment he “currently acts as an Independent Financial Advisor in Paris, and holds the position of Independent Director at various other companies. Prior to joining the Group, he held different executive positions at Banque Worms and Banque de Gestion Privee (Paris), Morgan Grenfell & Co. (London and Paris), Marceau Investissements and Trianon Finance (Paris).” Omitted from this resume is the Eloda Corporation of Montreal, Canada, an advertising operator which went bankrupt when Mailfait was a board director. Also missing is the collapse into insolvency of French retailer Vivarte, where Mailfait has also been a board director. In Mailfait’s current listing on the board of Vivarte, he mentions EN+ as his other board appointment, but because of Vivarte’s financial collapse, there is no mention of that board job in his EN+ resume. Mailfait’s identity is as unsubstantiated by EN+ as his independence; for more details about Mailfait, click to open.